1. 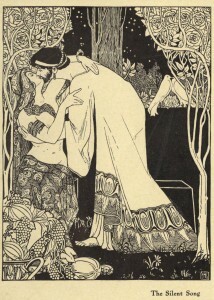 Ephraim Moses Lilien was born in Galicia in 1874. 2. He attended the Academy of Arts in Cracow from 1889 to -93. In 1896, he won an award for photography (he was mighty good at it – see below) from Jugend, an avant-garde publication. 3. 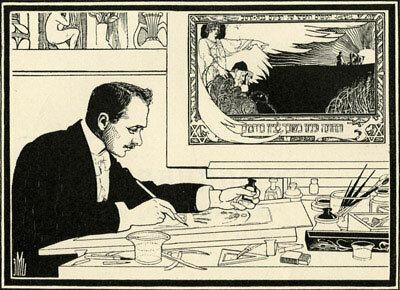 In 1902, he was one of the founders of Judische Verlag, the first Jewish-Zionist publisher in Western Europe. Based in Berlin, the company produced artistic and literary works – done by Jews, of course. 4. He was a delegate to the Sixth Zionist Congress in 1903, when the Uganda Plan was first broached. 5. In the years between 1906 and the First World War, he traveled frequently to Palestine. He was with Boris Schatz in Jerusalem for the establishment of the Bezalel Art School and taught the first class there. 6. His influence on the establishment of a distinctly Israeli style of art was enormous. He explored Jewish themes, using Biblical subjects in a Zionist context, and incorporating Jewish symbols into art nouveau style. It was thus that he created a visual vocabulary for Zionism. 7. Reportedly, it is his photograph of Herzl that became THE portrait we know today. He believed that Herzl was the perfect example of the New Jew in the modern world and used Herzl as a model for depictions of Moses. 8. He died in Germany in 1925. In Tel Aviv, you’ll find Lilien Street parallel to Struck just northeast of Rabin Square. 1. Hermann Struck was born Chaim Aaron ben David to an Orthodox Jewish family in Berlin in March 1876. 2. He attended the Berlin Academy of Fine Arts, completing his studies in 1899. However, despite his artistic excellence, he was not permitted to teach there, because he was Jewish. Was it as a protest against such treatment that he signed his works with his Hebrew name and a Magen David? 3. In 1904, he joined the Berlin Secession – the modern art movement that had been formed in 1898 as an alternative to the state-run Association of Berlin Artists. He became an artist of world renown, known for his landscapes and portraits, completing commissions for such figures as Ibsen, Nietzsche, Freud, Einstein, Herzl and Oscar Wilde. 4. An accomplished printmaker, in 1908 he published The Art of Etching, a seminal work. Among his students were Marc Chagall, Jacob Steinhardt and Max Liebermann. 5. He was an ardent Zionist. He displayed his artworks at the Fifth Zionist Congress in 1901, and he was a founder of the Mizrachi religious Zionist movement (1902). He visited Palestine for the first time in 1903. 6. During World War I, he served in the German Army as a translator, liaison officer and military artist. He received an Iron Cross class I for bravery and was made an officer. 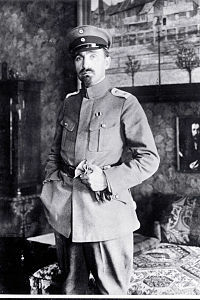 The year 1917 found him on the eastern front serving the German Eastern Front High Command with regard to Jewish affairs. He made aliyah in 1922, settling in Haifa, where he fostered the cultural and artistic life of the city. 7. He taught at the Bezalel Academy and helped establish the Tel Aviv Museum of Art. 8. He died in Haifa in January 1944. 9. In 2013, the Hermann Struck Museum (formerly the Struck House) opened in Haifa in the house where Struck lived at 23 Arlosorov Street. In Tel Aviv, you’ll find Struck Street just east of Ibn Gavirol in the section of artist streets north of Rabin Square. Author’s Note: Before we begin, please let me take a moment to commemorate this Shabbat as the 100th anniversary of the Bar Mitzvah of Mischa Lefkovits. Who, you ask? Okay, Mischa is a fictional character, brother of Rivka in my novel Rivka’s War. She is so affected by his reading of the Haftarah that she runs out into the snow and throws up her breakfast. To find out why, you’ll have to read the book. If you like Jewish history, you’ll enjoy Rivka’s War. If you know anyone else who likes history, think about recommending the book. Many thanks. 1. 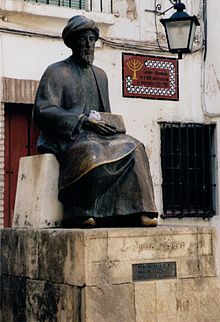 Mosheh ben Maimon, called Moses Maimonides – also known as the RaMBaM, from Rabbeinu Moshesh Ben Maimon (our rabbi Moses son of Maimon) and as haNesher haGadol (the great eagle) – was born in Cordoba in 1135. At an early age, he showed an interest in philosophy and the sciences; he studied Torah with his father. Because of the ill-treatment of Jews in Spain, the family moved frequently and eventually settled in Fez, Morocco, where he attended university and was trained in medicine. It was during this time (1166-68) that he wrote his commentary on the Mishneh. 2. He traveled to Eretz Yisrael and then settled in Festat, Egypt. He continued his studies in a yeshiva in Cairo. During this time, he helped raise money to rescue Jews held captive by the Crusaders. After financial reverses upon the death of his brother, he took up the practice of medicine, eventually serving as court physician to the Grand Vizier, and then to Sultan Saladin. Though he worked full days as a physician, he nonetheless also wrote trenchant treatises on medicine, on Jewish law and philosophy. About 1171, he was appointed Negid, or leader, of the Egyptian Jewish community. 3. His medical writing stressed moderation in daily life. He described a number of conditions that had not yet been adequately documented, including asthma, diabetes, hepatitis and pneumonia. 4. Of course, it is his writings in philosophy and Judaism that interest us most. His books and letters and responsa have become a cornerstone of Jewish scholarship. 5. He is known for his adaptation of Aristotelian thought to Biblical studies and to faith. In this, he was influenced by Saint Thomas Aquinas and Duns Scotus. Central to his belief was the conviction that there could be no contradiction between the truths of revelation and the findings of science and philosophy. 6. His Mishneh Torah, a fourteen-volume codification of Jewish law and ethics, was a milestone then, and remains a touchstone today. Written in Hebrew (most of Maimonides’ works were in Arabic), it was the first full, systematic commentary on the Mishneh. He propounded eight levels of giving charity; his thirteen principles of faith are rendered today in the hymn Yigdal. 7. He wrestled with definitions of God, of good and evil. Because of the impossibility of knowing God, he chose negative, rather than positive, terms; for example, rather than saying God is one, he said God is not a multiplicity. Evil, he believed, was the absence of good, which was created by God; evil exists, he said, wherever good is absent, and in the aggregate is but a small part of the world, when one considers all of creation. 8. His Guide for the Perplexed remains a great Jewish philosophical work, examining Aristotle in the context of Jewish theology. In all his works, he never wavered from the conviction that the path to perfection and immortality – resurrection would be incorporeal in the world to come – was the path of duty as prescribed in the Torah and Talmud. 9. Other works on Judaism include his Book of Commandments, on the 613 mitzvot; a Book of Martyrdom; a commentary of the Jerusalem Talmud, of which we have only a fragment; and possibly a Treatise on Logic, though the authorship of that is disputed. In addition, he published ten known medical works, including commentaries on the aphorisms of Hippocrates; a compilation of his own 1500 medical aphorisms, many describing illnesses; a treatise on hemorrhoids and their relation to food and digestion; a treatise on aphrodisiacs and anti-aphrodisiacs; on asthma, on poisons and their antidotes, on seizures and on healthy living. He also compiled a glossary of drug names in six languages. 10. With such an output, it was inevitable that his works would cause controversy, especially as regards his ideas concerning the necessary agreement of reason with revelation, and concerning the resurrection of the dead in the world to come. These one would expect. But even his codification of the law met with opposition, some critics believing that it would halt the study of Talmud. 11. When he died in the year 1204, the Jews of Egypt observed three full days of mourning. 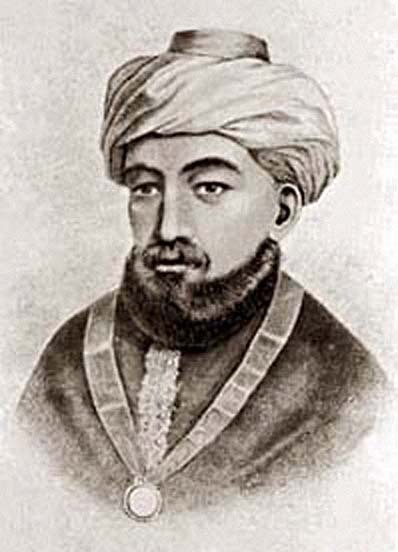 It is said that his remains were taken to Tiberias on the western shore of the Sea of Galilee, where the Tomb of Maimonides may be seen today. In Jerusalem, find Rambam Street running between the Knesset and the YMCA. Parallel to it runs Sderot Ben Maimon. In Tel Aviv, Rambam Street runs off Allenby to HaKarmel. In Haifa, it’s between Sderot Wingate and Leon Blum. There’s a Rambam Medical Center in Haifa and a Maimonides Medical Center in New York City; a Maimonides School in Massachusetts and a Maimonides Academy in Florida – and many more, no doubt. An Israeli stamp honoring Maimonides was issued in 1953. In 2004, Uruguay issued a postage stamp honoring him.